Renner Boulevard to eastbound K-10 ramp opened at 7:45 p.m. on Friday, August 14 – NOW OPEN! Eastbound K-10 ramp to Renner Boulevard ramp opened at 12:20 a.m. on Tuesday, August 18! – NOW OPEN! 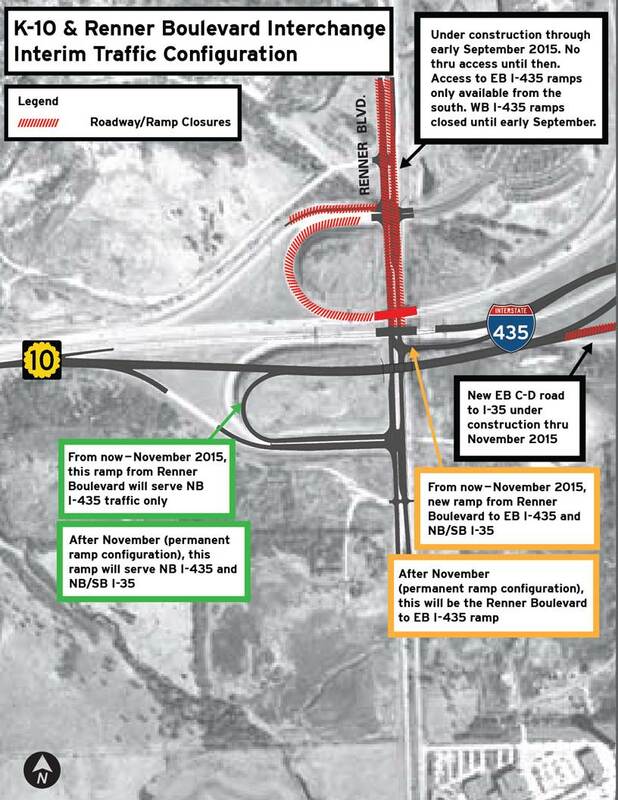 The overall #jocogateway project is scheduled to be completed in late December 2016. (KDOT Project #435-46 KA-1002-06).